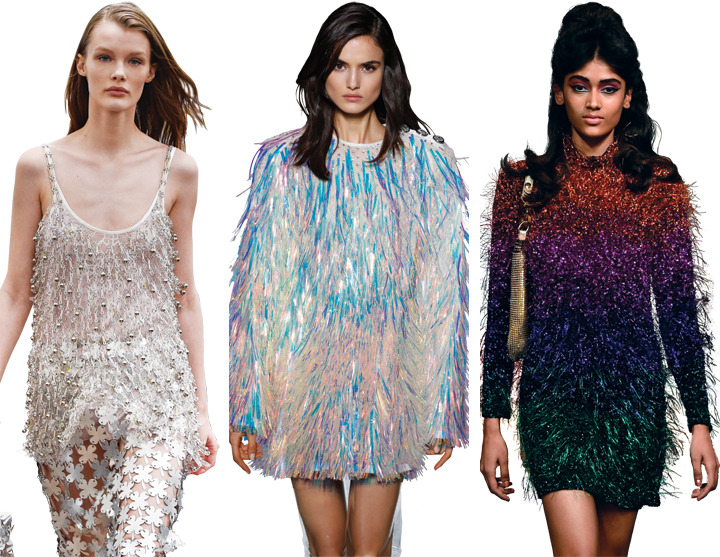 Is there a season where sparkle doesn’t outshine every other trend? We think not. But how the glisten reflects certainly took a different tack this fall. Designers sent their sparkle out in strips of various mediums: At Bahmain, holographic fringe rustled radiantly while at Christopher Kane, thin ropes of rhinestones glinted gorgeously across bare skin. Whether rainbows of twinkling tinsel (seen at Ashish) or hyper-reflective ball-and-chain tassels (seen at Paco Rabanne), lanky luster certainly puts the shimmy in shimmer. 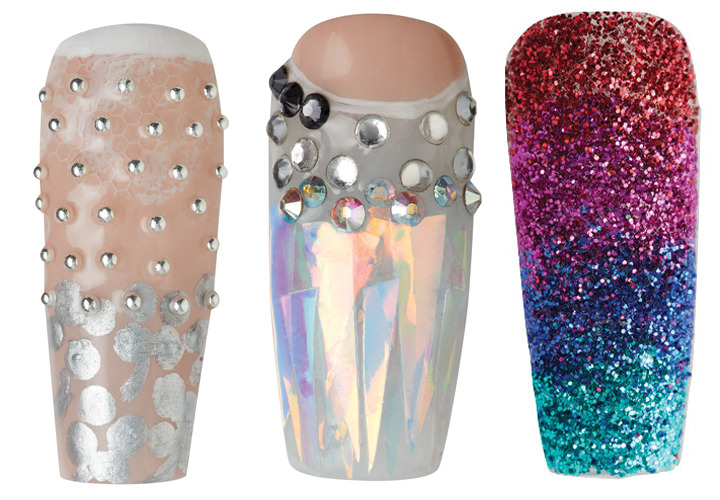 Like in fashion, sparkles never go out of style for nail art, so take guest artist Felicia Bullen’s lead and capture the essence of tinsel with fanciful flocking or holographic fringe with prismatic Mylar laid out like shattered glass. 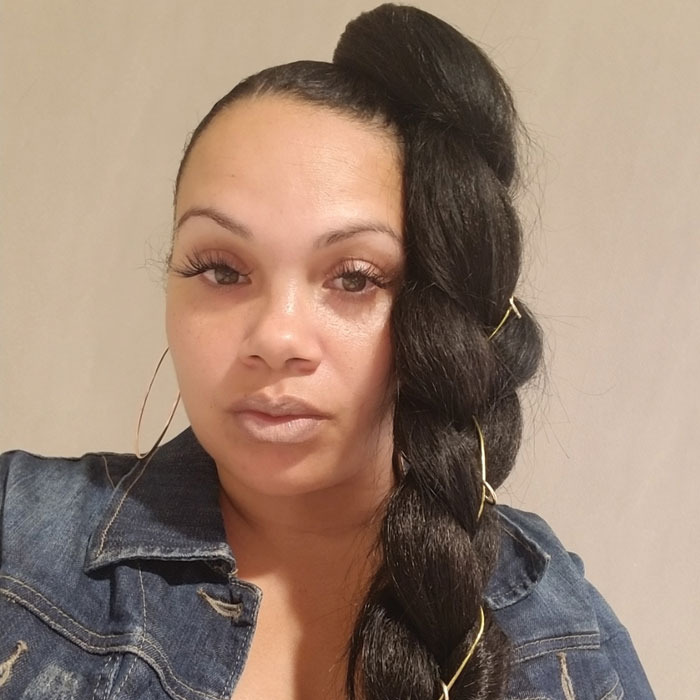 Guest Artist: Nail tech Felicia Bullen at Spa 313 in Inglewood, CA, specializes in crystals and embellishments and has been creating nails for more than 10 years.